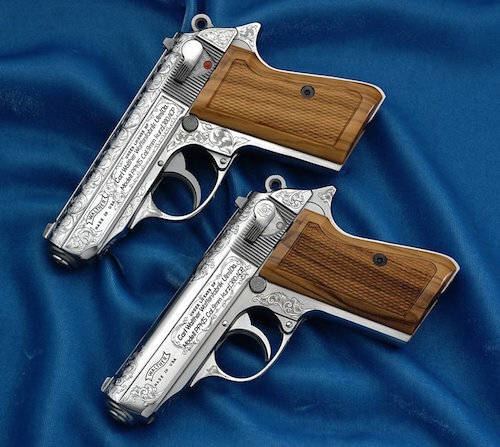 Our custom engraving shop is where we combine the pride and practice of producing the finest handguns available with the artistry of world class engraving. We are thrilled to offer this service to you to extend the enjoyment and investment value of your Smith & Wesson firearm. 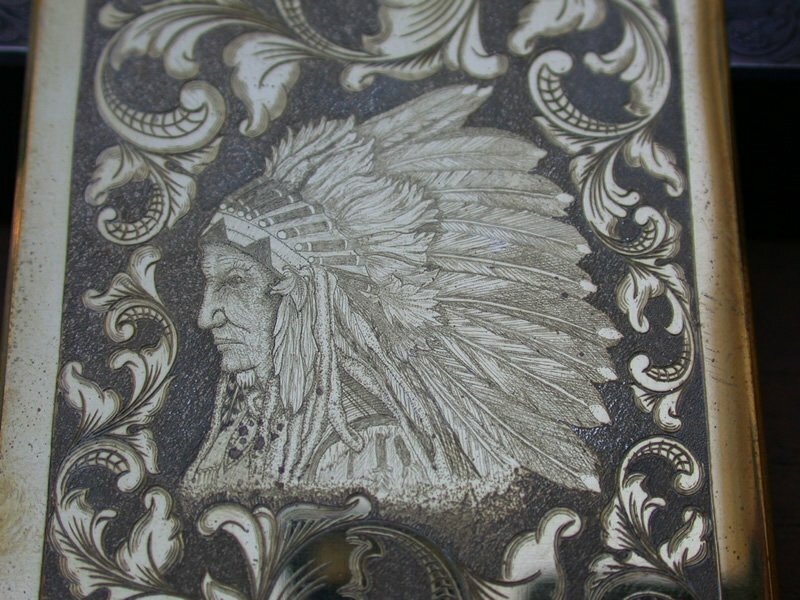 "Factory engraving adds another dimension and significant value to my Smith & Wesson revolvers and pistols. 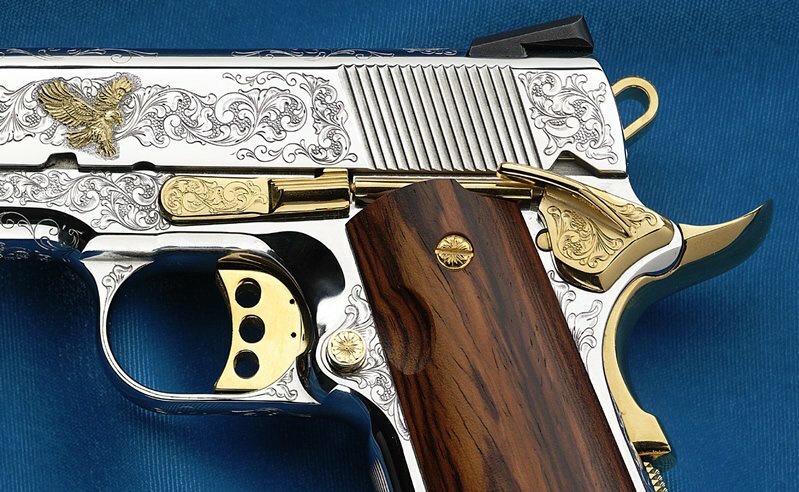 The custom engraving shop has produced notable work, including the fine detail and old-world craftsmanship on my .45 ACP Model 1911. I am immensely pleased with the results." 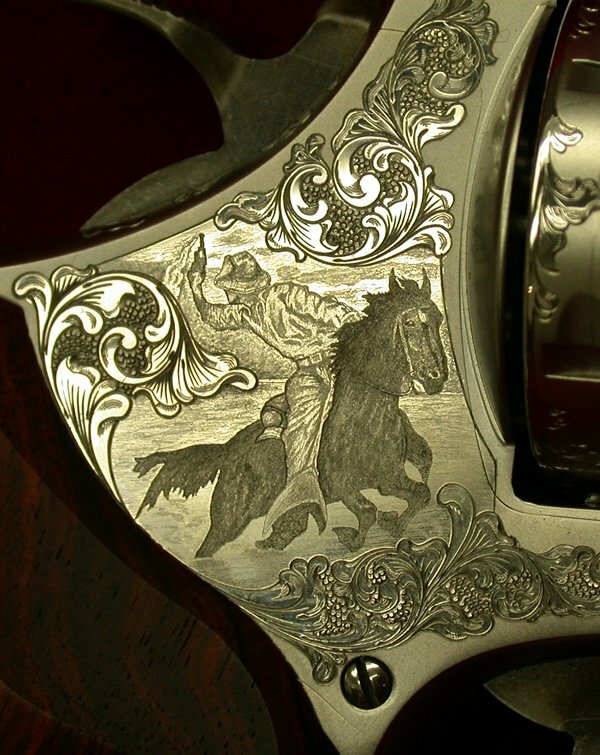 Explore all of the Factory Custom Gun Engraving products and services we offer. 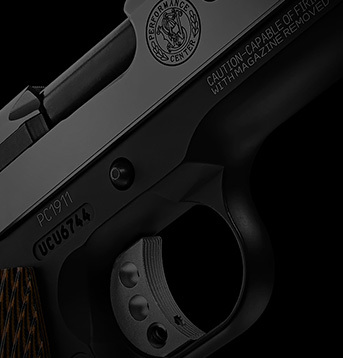 For more information about custom engraving your Smith & Wesson handgun or to receive a catalog of custom engraving services, call 1-800-331-0852 (Ext. 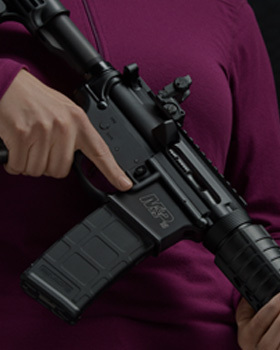 4045) and ask for our firearm engraving catalog. Bulino Engraving – traditional and fantasy art, portraits or scenes, seals and insignia. 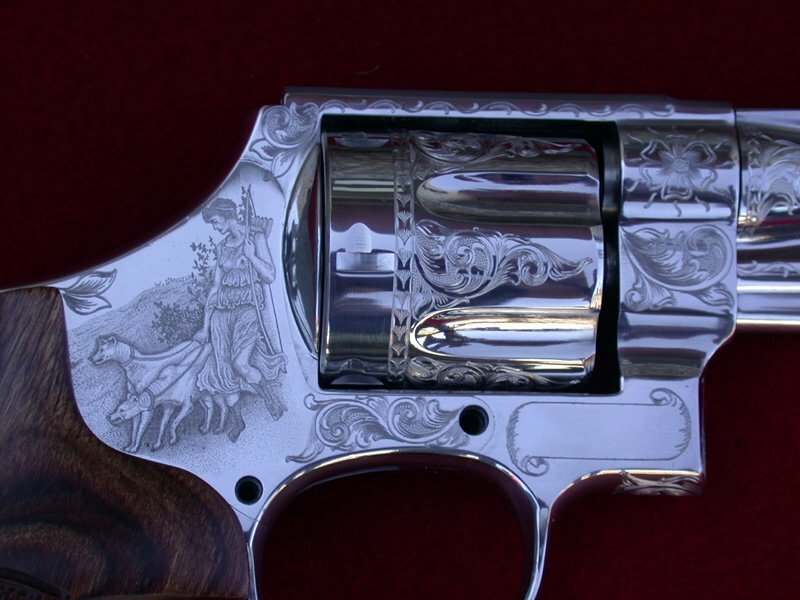 Scrollwork –From Class A complete ornamentation to the Class C engraving. Inlays – available with multiple techniques, elements and materials. Backgrounds and Shading. Beaded or stippled, simple to intricate – the choice is yours. * Smith & Wesson may not reproduce trademarked images without expressed, written permission of the trademark's legal owner.